The SAC3118Q6 is a KA band GaAs MMIC power amplifier. The SAC3118Q6 provides 26dB of gain, and 35.5dBm of output power for 1 dB compression and 20% PAE from a +6V supply. 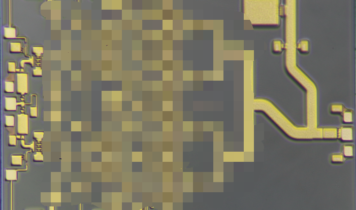 The SAC3118Q6 is a GaAs MMIC power amplifier housed in a 6×6 mm surface mount package. SAC3118Q6 is ideal for SATCOM, test equipment applications, Point to Point radio and radar applications.